World Environment Day 2017 is being observed across the world on 5 June, and the theme for this year is ' Connecting People to Nature' People of Moradabad have found a very distinct way of celebrating World Environment Day, by practicing yoga in the morning and planting trees. According to United Nations, the Environment Day theme for this year implores to go outdoors and appreciate nature's beauty and importance, and to forward call to protect Earth. Yoga and a clean environment are very essential for our existence. 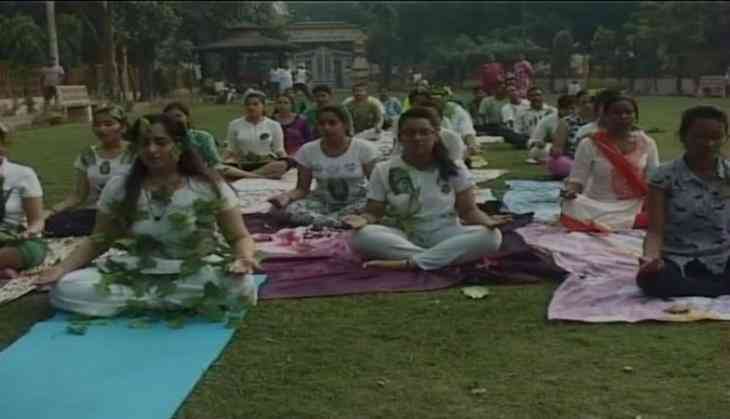 People practicing Yoga since morning said "Yoga and environment are the foundations of our body. As the environment provides us food, Yoga provides us with good health." In this way, they have initiated an effort in spreading environmental consciousness in society on World Environment Day.